Collins Booksellers - Australia by Friedrich Gerstäcker, 9781743054635. Buy this book online. Friedrich Gerstäcker, the most illustrious and prolific of German travel writers, set foot in Australia in March 1851, having walked across the Andes, traipsed the goldfields of California, and sailed over the Pacific in search of new adventures. Gerstäcker found adventures aplenty in Australia. He rowed and trekked down the Murray, absorbed the excitement triggered by the discovery of gold, visited his countrymen in South Australia, and trained his outsider's eyes on a colonial society gripped by profound change. 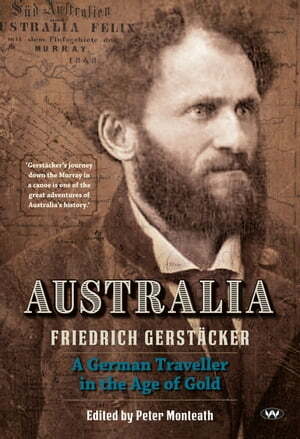 In this translated edition of Gerstäcker's book "Australien", his lively travelogue is made available for the first time in English. Rarely has Australia's colonial past been presented with such insight, humour and entertainment.